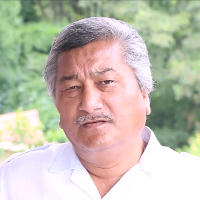 Lt General Shakti Gurung did his schooling from a boarding school in Dehradun and then joined the National Defence Academy, Khadakvasla in June 1971. He passed out from there in June 1974 and thereafter joined the Indian Military Academy, Dehradun from where he passed out in June 1975. He was commissioned into the most famous regiment of the infantry known as The GRENADIERS. During his career spanning forty years, Lt General Gurung held important command and staff appointments in the Army and also served abroad as India's Military Attache in Myanmar. He finally retired as the Military Secretary (MS) from Army HQ in October 2014. He has been awarded four presidential awards which are the Param Vishist Seva Medal, Uttam Yudh Seva Medal, Ati Vishist Seva Medal, and the Vishist Seva Medal. He is now leading a retired life and is settled at Purkul, Dehradun, in the foothills of Mussoorie. Infantry is the general branch of an army that engages in military combat on foot. As the troops who engage with the enemy in close-ranged combat, infantry units bear the largest brunt of warfare and typically suffer the greatest number of casualties during a military campaign. Historically, as the oldest branch of the combat arms, the infantry are the tip of the spear of a modern army, and continually undergo training that is typically more physically demanding and psychologically stressful than that of any other branch of the combat arms. "After completing my schooling from a Boarding School in Dehradun. I joined National Defence Academy in 1971 and passed out from there in 1974. After NDA, I joined Indian Military Academy and was commissioned into the Indian Army in 1975. I served Indian Army for 40 years and retired in Oct 2014 as a Military secretary."